The company has reached its age of majority according to Austrian and Ukrainian law. It has passed a threshold to new challenges and opportunities. Modern facilities are also an element of success. 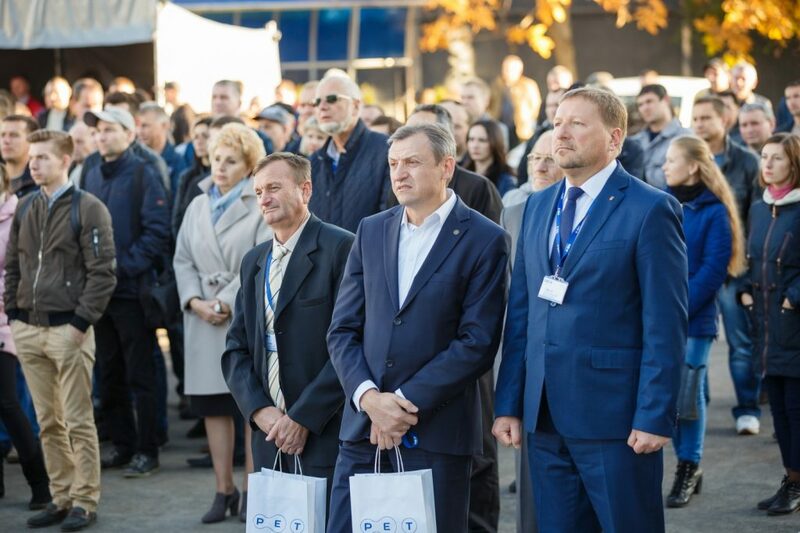 It was a warm autumn day that our guests from all over the world arrived to PET Technologies installations in Chernihiv, Ukraine. Each of them wanted to be part of the event. All of them are life-long PET Technologies friends. So the event starts under gentle sun rays. 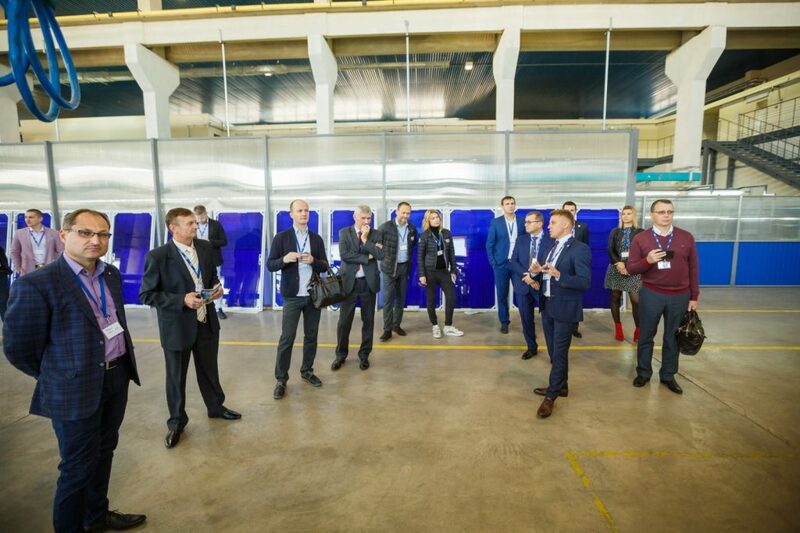 Company timeline presentation and excursion to the new production facilities are in full. Many guests know the company since 1999, when it was still a local plant. Now we export PET stretch blow molding equipment and blow molds to over 40 countries of the world. The excursion starts on the first floor of the recently constructed office building in broad daylight. The atrium has transparent roof. The building meets PET Technologies corporate style, while the company corporate logo decorates its walls, both inside and outside. Green flowers and numerous photos make it cubby and provide an overview of the company development. The office building is connected with the plant. Our professional guides, the company owner and experienced employees, continued the excursion there. It was an opportunity to see PET stretch blow molding equipment full production cycle at 7000 sq.m, observe metal parts treatment at turning and milling machines with CNC, new machine assembly. Many guests for the first time ever saw our latest development, innovative and universal automatic PET stretch blow molder APF-Max with output up to 14 000 bph, 0.2 – 3.0 l. It is equipped with the special short-wave near infrared heating system (NIR heating system). It is not a common method for PET blow molding market, though has its competitive advantages. Preform heating is more efficient whilst less kilowatts are consumed. 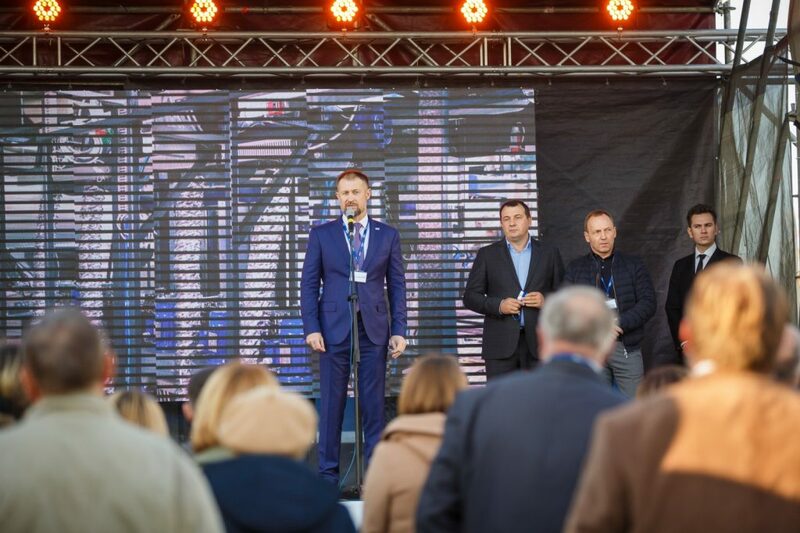 At 4:00 pm the company Owner, Chernihiv province Governor and Chernihiv city Mayor cut the blue ribbon that symbolized new production facilities opening! Then each of them makes his speech, congratulates the company and its personnel on this important event. The company owner also thanks the guests for their contribution. 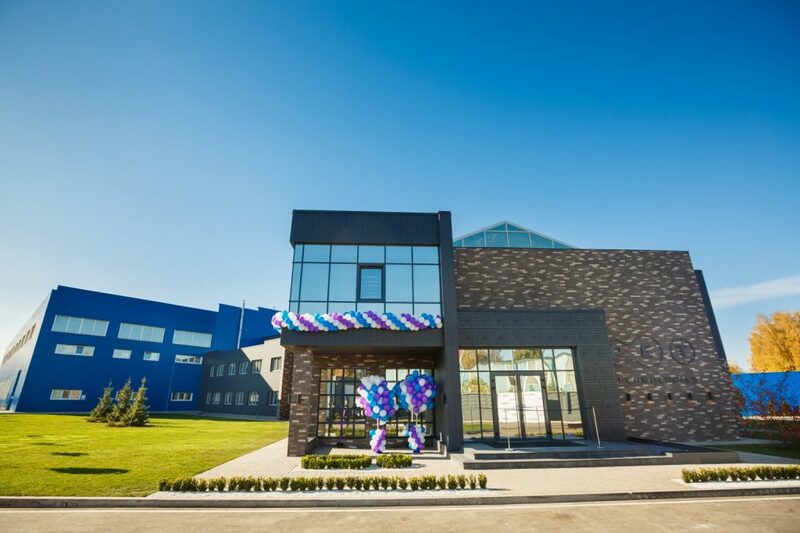 Dear customers and partners, welcome to PET Technologies new production facilities! Seeing is believing.